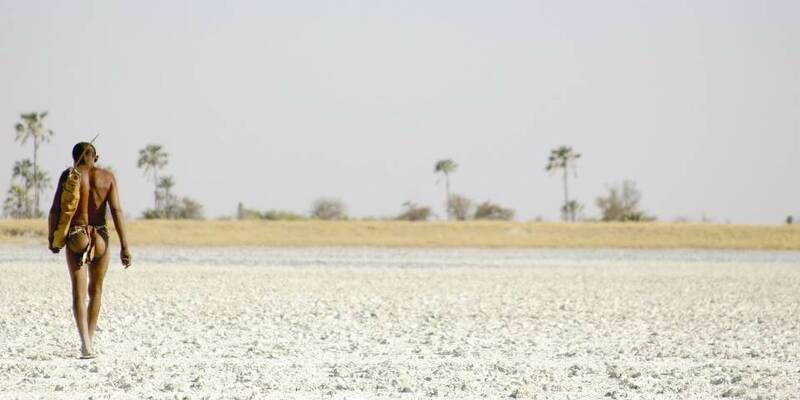 San Camp is the sister camp of Jacks Camp but is only open in the dry season. Spectacularly located right on the very edge of the ‘Pans’, this is one of the most romantic camps in Africa and was stunningly rebuilt and upgraded in 2012. The experience of utter nothingness is the significant appeal at San Camp; as AA Gill recently wrote, “this is God’s own minimalism”. 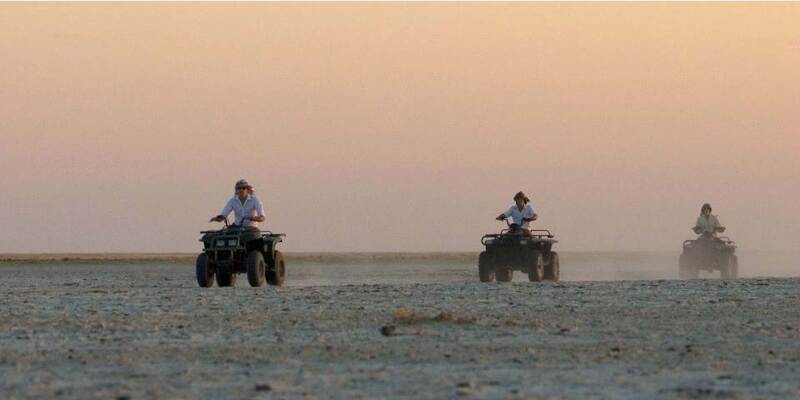 On four-wheel-drive quad bikes you can head far into Botswana’s Makgadikgadi Pans. Remote archaeological sites can be found, periodically discovering never-before-documented fossil beds of extinct giant zebra and hippo. The fact that you can travel across the pans at great speed and still arrive nowhere only underlines the pan's immensity. There is nothing out there, absolutely nothing; not even sound but the crunch of your boots in the crust. 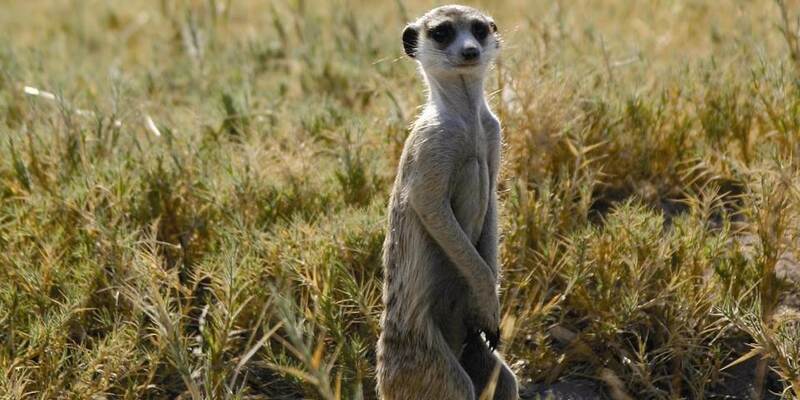 Slightly inland from the pans there are a few families of habituated Meerkats you will get to spend time with; perhaps one will even use you as a pedestal to secure an advantageous lookout point for predators and you will walk with some of the San Bushmen who will educate you in their ancient ways and traditions. 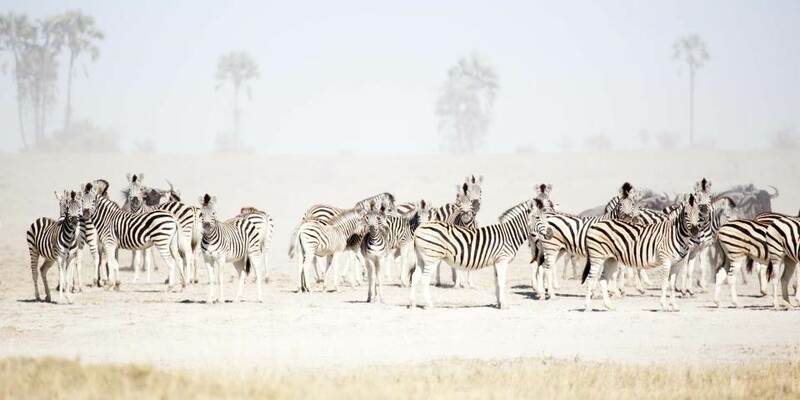 This is a safari like no other in Africa. 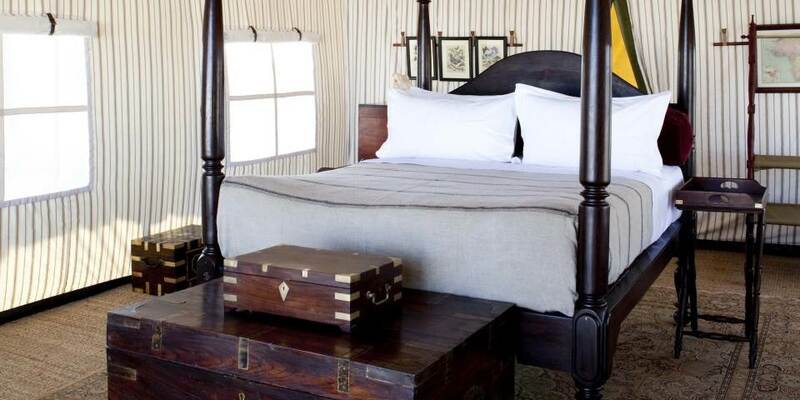 The six large, luxurious and stylish white canvas tents have en-suite facilities. 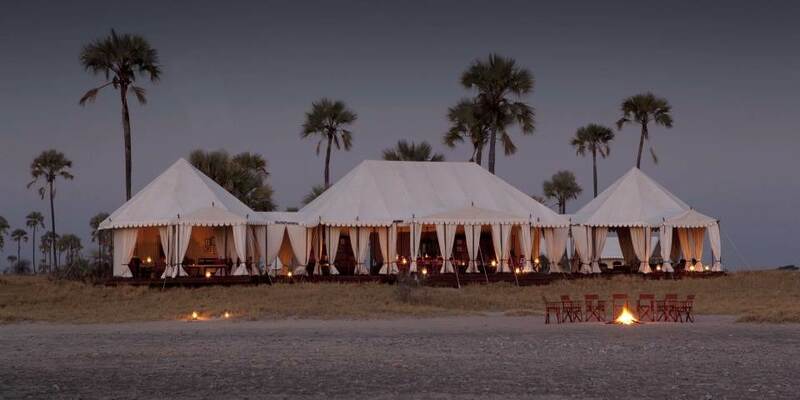 Each tent has a magnificent view across the “Pans” from its veranda and with Persian rugs underfoot and cool cotton sheets form a striking contrast with the rugged wilderness of the Makgadikgadi. The camp's hub is a romantic white canvas pavilion where everyone meets for lavish and elegant meals and there is an adjoining tea tent filled with scatter cushions and even an open sided yoga tent for those inspired by the silence of the area to travel into deeper thought!